Free smartphone app will let users play pranks and tell jokes. Classic children’s comic The Beano has launched iPrank – or the ‘Ultimate App for Menaces’. Publisher DC Thomson says the free official app is "the epic practical joke app for kids of all ages, everywhere". It’s being released in time for April Fool’s Day and is available via the App Store and Google Play for Android and Apple tablets and smartphones. Activities include the Menace-O-Meter, Beano Bigmouth, Fart Finder Prank, Eye Fright and Super Soundboard. 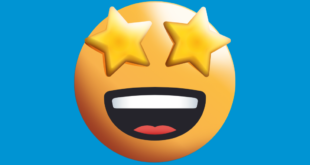 Editor-in-Chief Mike Stirling said: "Dennis the Menace and Gnasher, Minnie the Minx and The Bash Street Kids have all helped design the funniest comic joke App ever – all free. "The fun pranks are all ready and waiting to be used for mobile mega-menacing and pranking. It’s fun, interactive and even more entertaining if you don’t tell boring grown-ups! However, you CAN mention it to cool grown-ups." Further pranks, jokes and laughs are available at www.beano.com and in The Beano comic itself. From now until March, Thursday 28th, readers can vote for their favourite prank of all time, from a selection of 16. The top prank will be chosen by The Beano editor and announced on Monday, April 1st. Iconic characters Dennis the Menace and Gnasher are also set to play ‘The Ultimate April Fool’s Prank’ on Walter. 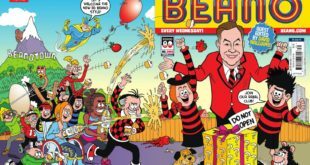 For the next few weeks, every issue of The Beano and BeanoMAX will come with a Prize or Prank? Card, with prizes up for grabs including an iPod Touch and iPad Mini.